Our Senior Scientist, Dr. Annette Robichaud, and flexiVent Product Manager, Ms. Liah Fereydoonzad, are back in the office after spending last week at the Jackson Laboratory Workshop on Phenotyping Mouse Models of Human Lung Disease in beautiful Bar Harbor, ME. This year, the event ran at capacity with a total of 20 researchers attending and many more on the waiting list hoping to join. At the workshop, most participants identified learning more on the flexiVent and the measurements it produces as a reason for attending. While a few participants were already familiar with the system, the majority were novice and attended this workshop in hopes of acquiring a specialized training. 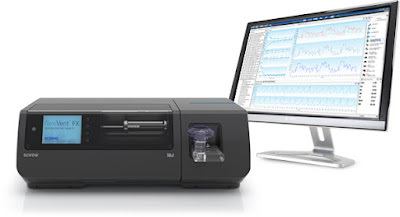 It is known that the flexiVent is capable of capturing detailed and reproducible measurements of respiratory mechanics in vivo in a wide range of pulmonary applications. The Jackson Laboratory was a perfect environment to host hands-on workshops to see the system at work. The sessions were hosted by many authorities in respiratory research, such as Dr. Wayne Mitzner (John Hopkins Bloomberg School of Public Health), Dr. Lennart K. A. Lundblad (The University of Vermont), Dr. James Lee (Mayo Clinic Arizona) and Dr. Charles Irvin (The University of Vermont). The topics addressed covered in-depth various aspects related to mouse models of human lung disease. We, at SCIREQ, are proud to have been associated for a number of years now with this renowned scientific event that caters to the needs of pre-clinical researchers from around the world. 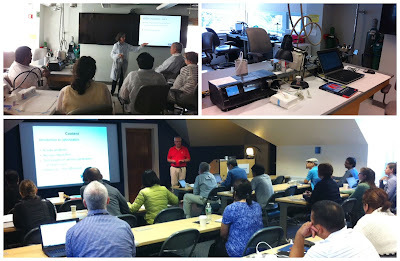 For more information on the flexiVent, please visit our website at www.scireq.com/flexiVent.